A tactile approach to Maths learning aid made from multiple brightly coloured wooden blocks. Each row of blocks is painted a different colour from the one next to it and is split up to represent its fraction, starting with 1 at the top and going as small as 1/10 at the bottom. 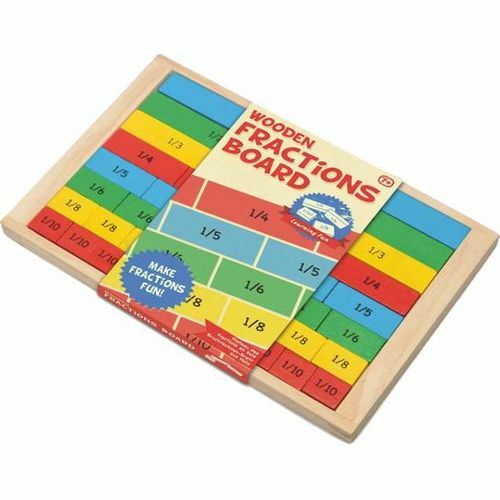 Its a fun and tactile way for small children to learn their fractions, with each block being removable and having its fraction printed on top.